Because this was my first time ever making a pie crust from scratch, I deferred to the best: Julia Child, and her recipe for flaky pie dough. However, even a recipe from an icon like Julia can’t be left alone when I get going in the kitchen. I didn’t tweak her recipe much, but I did in fact tweak* it 🙂 Oh my gosh, I can’t believe I just admitted that! Just gotta’ be me, just gotta’ be me…. Here’s my completed pie and my story, weird looking crust and all. For certain, I have a long way to go in the pie crust arena, at least in appearance and thickness department. That being said, the flavor of this crust was OUTSTANDING! The buttery sweetness and flaky texture melted in my mouth with each and every bite. The fact that my crust was a little thick only added my enjoyment as I savored each tiny crumb! Is that so wrong? *Note – I made my crust by hand using a pastry blender. Next time though, I think I’ll use my food processor. Maybe I’ll have better luck with my consistency. -Mix the flour, salt and sugar together in a large bowl. 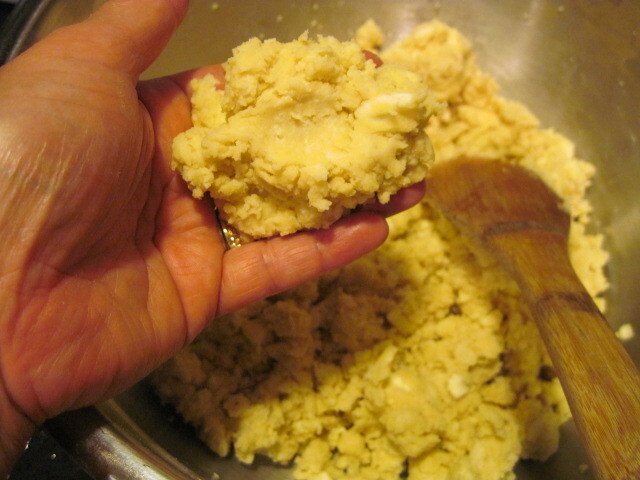 -Add the chilled butter and shortening to the flour mixture and using a pastry blender, cut this into the flour until the mixture resembles coarse crumbs. Be patient as this will take quite some time. -Switch to a wooden spoon and add the almond extract and enough of the ice water to form a dough that holds together then squeezed in your hand. *Note – you may not need the entire cup of ice water. -Turn the dough out onto a work surface and fold it over on itself a few times but don’t get carried away. The dough will be soft , but it will firm sufficiently in the refrigerator. 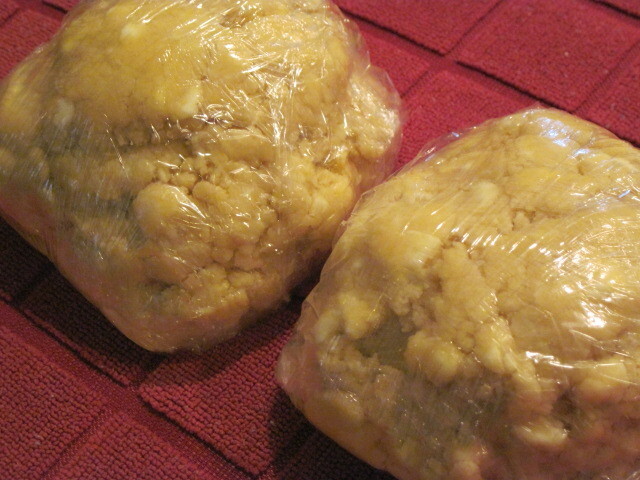 -Wrap the dough in some plastic wrap and chill for at least 2 hours. -Once chilled, roll out one of the doughs on a lightly floured surface so that it’s large enough to cover the pie pan by a few extra inches. 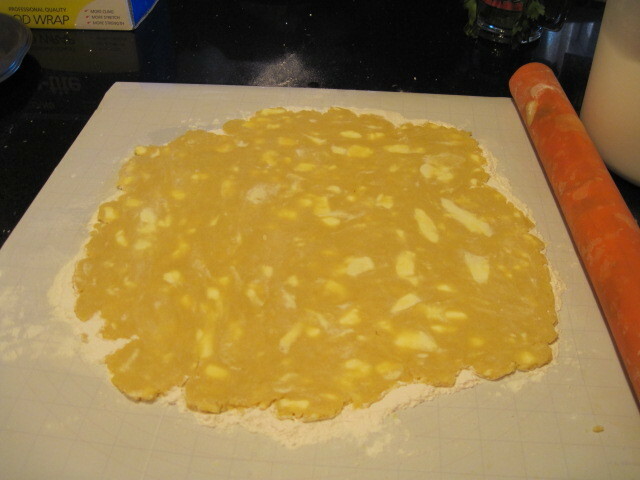 -Using the rolling pin to drape the dough, transfer it to the pie pan. 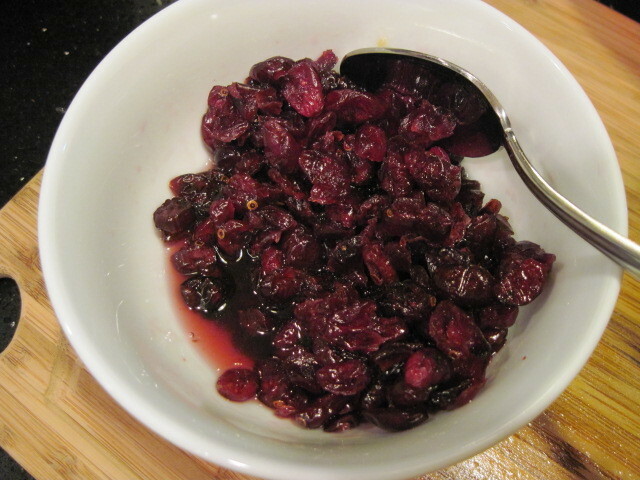 -In a small bowl, soak the Craisins in the ginger vodka for approximately 1/2 hour. -Drain and drink the vodka (optional). 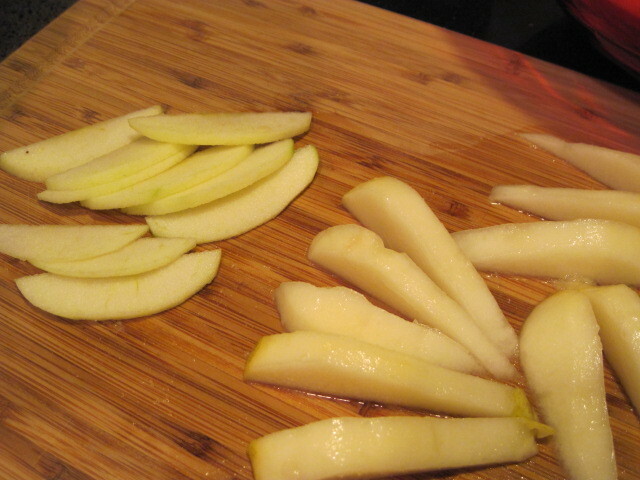 -Peel, core and slice the apples and pears and add them into a large bowl. -Toss the fruit gently with the flour. -Add the drained Craisin mixture to the bowl and add the salt, sugar, cinnamon, nutmeg and vanilla. -Stir gently but well to combine. 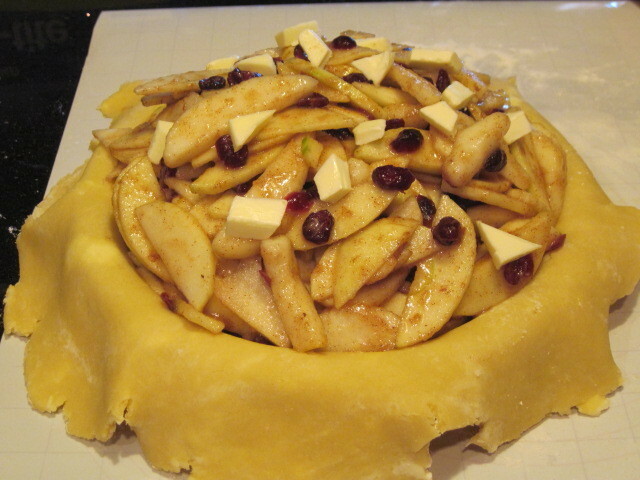 -Spoon the apple mixture into the pie pan with the bottom crust, mounding it in the center. 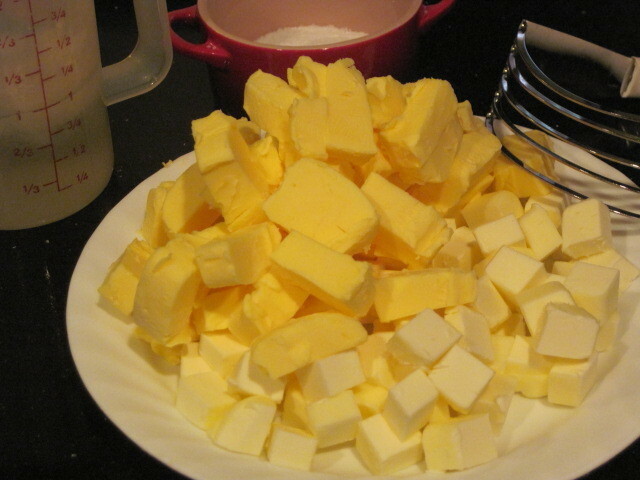 -Dot the mixture with the butter. 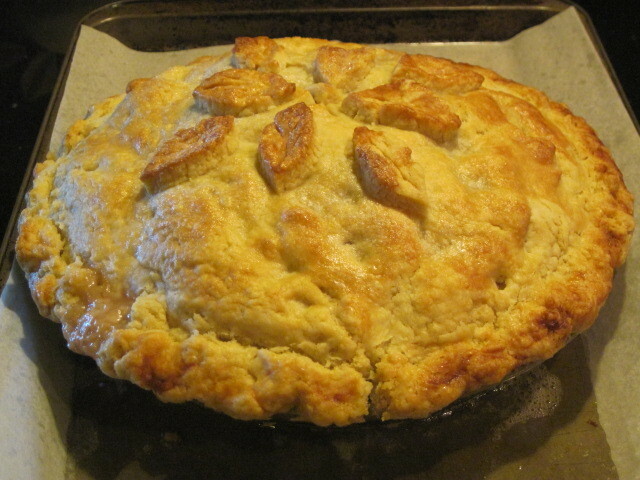 -Roll out the top pie crust as you did the bottom crust and carefully transfer it to the top of the apple pie. -Trim the edges of extra crust, being careful to leave enough remaining in order to fuse the top and bottom crusts together. -Wet the rim of the crust with water to effectively close the edges and crimp to completely seal the two crusts. 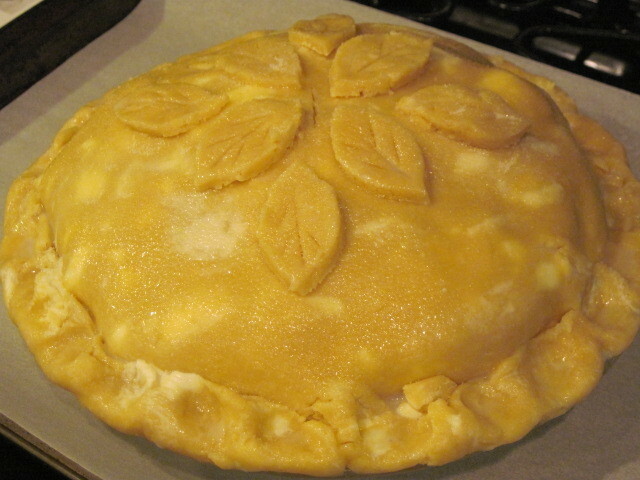 -Cut some vents in the top of the dough with a paring knife and if desired, using some of the trimmed dough, cut out and adhere some leaf shapes to the top of the pie. -Brush the top of the pie with the heavy cream and sprinkle it with sugar. -Place the pie on a parchment lined baking sheet and bake in a preheated 375 degree oven for at least an hour or until the crust is golden and the juices are starting to run from the pie. 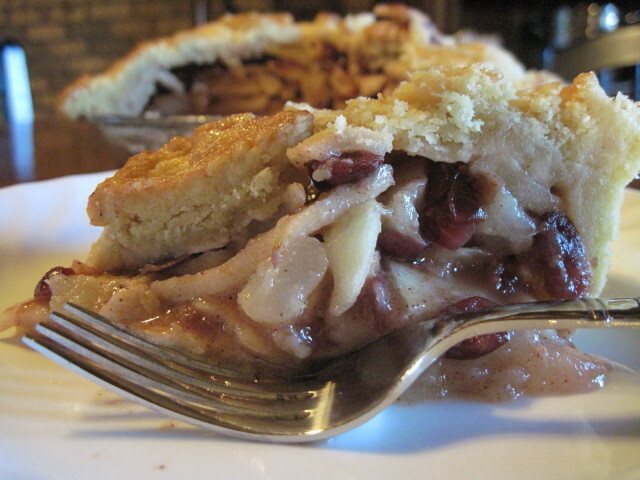 -Allow the pie to cool for at least an hour on a baking rack and then serve. Can I get you come coffee or perhaps some vanilla ice cream to go along with your pie??? Thanks for visiting my Kudos Kitchen, please come again won’t you? Do you have a food processor Renee? You might find it easier to get the texture you're looking for without overworking the dough by mixing your crust ingredients there. Still; taste delish…sometimes that is all that really counts! I do have a food processor and I will definitely use it the next time I make a pie crust. That's what I was thinking too. Thanks for the suggestion Barb! Gosh, it's beautiful! 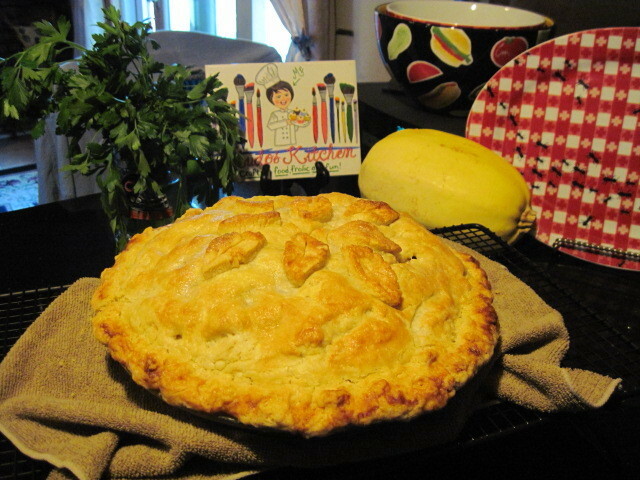 Seriously, I can't make a decent pie to save my life–you did a great job, and I love the flavors! I think your pie is gorgeous! And the flavors here? Awesome! Yummy! I want a slice too! 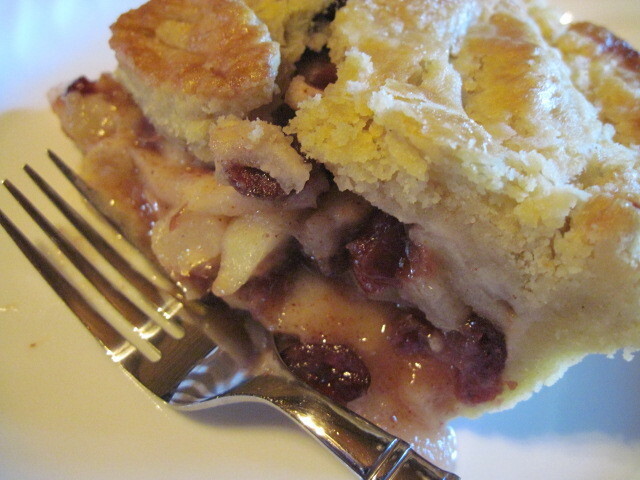 Your pie looks so mouthwatering and heavenly! Renee, this looks great. I always make my pie crusts by hand (don't have a food processor). Yours looks very flaky and buttery! I've made an apple and pear crisp and I just loved the smell when it was cooking. I'll have to try your pie sometime. You and Bridget both made pies with butter and shortening in the pastry recipe. I've never done that yet and will have to try it. Can't get over how flaky the crust is. Beautiful! that is super pretty!! my crust NEVER look that pretty!